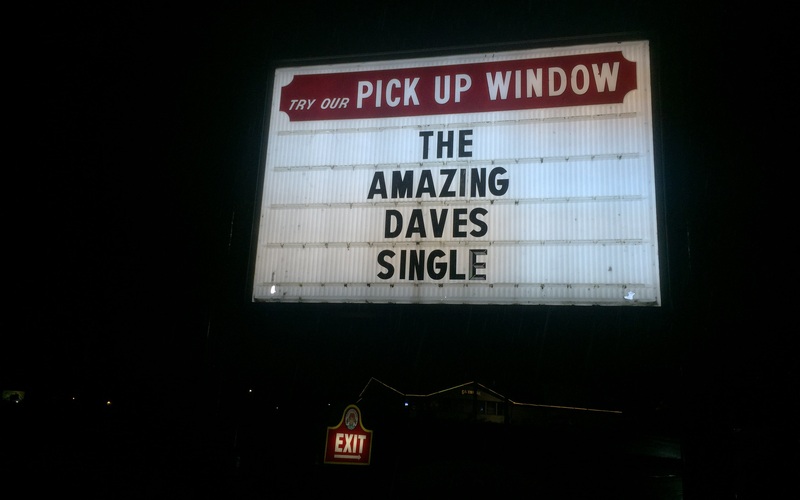 The Amazing Dave. | Do. Be. Interesting. Home Life The Amazing Dave. As I was standing outside Wendy’s in the pouring rain in the middle of the night waiting for my dad to pick me up after a late night on stage crew, I looked up at this huge sign towering over me and bathing me in its harsh light. This night could have easily been a justifiable low point in my life. I just had to laugh and appreciate the incredible irony.